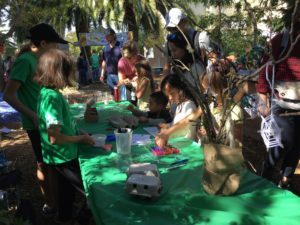 We joined forces with a few other Alameda County 4-H clubs to create a 4-H area at the Mini Maker Faire at Park Day School in Oakland, October 23, 2016. 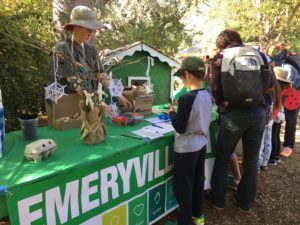 Emeryville 4-H was asked to provide some crafts for kids. 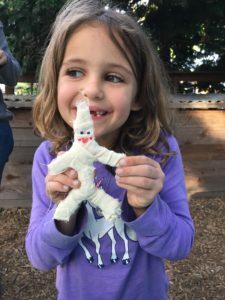 Given that Halloween was only a few days away, we selected some Halloween-themed crafts: beaded spiders, yarn spiderwebs and craft stick mummies. It was a great outreach opportunity for our club and a super fun event. 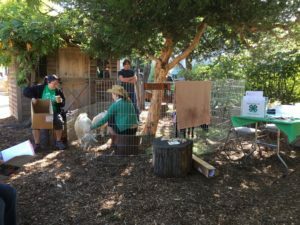 We also participated in this event in October 2017, again doing crafts and assisting the other clubs with their animals or activities. Stay tuned for October 2018!